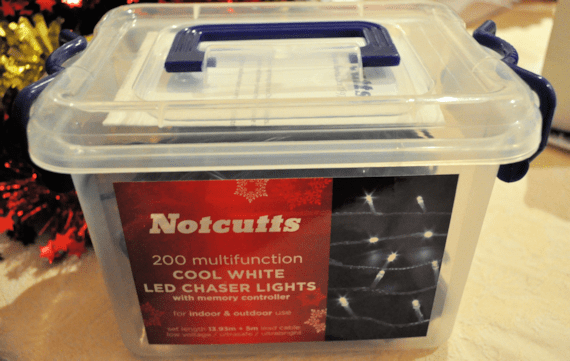 Notcutts sent me a lovely box of 200 indoor and outdoor lights to use for our tree. We have some lights, but the boys were determined to put them on the tree as they have several flashing functions on them. We put the tree up last night, and the kids are highly delighted with it, but tonight our lights for outside blew, so tomorrow is likely to be a day where we take the lights off the tree and put them outside so that we have some bling on the house this year. The lights we had have 200 multifunction, cool white led chaser lights. 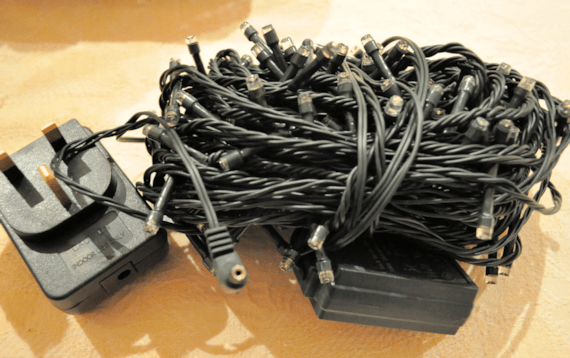 They have a memory controller and with a length of 13.93m + a 5 metre lead cable, they are long enough to do most houses. My lights are £19.99 from the Notcutts Online Store, and they have lots of other variations. Considering the RRP of these is £13.99, they are a good bargain to stock up on for next year too. 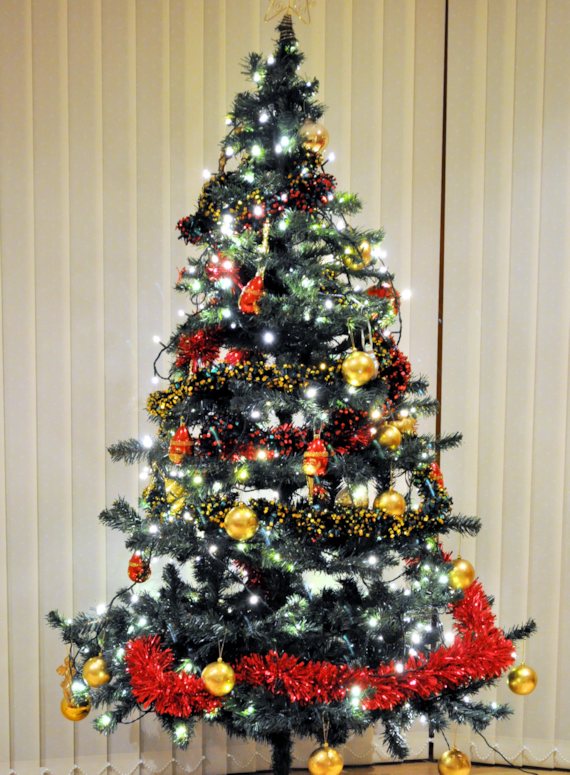 Notcutts has Christmas Trees, free delivery over £30, and have a larger product range for a Garden Centre with indoor furniture, some pet items, and lots of Christmas goodies. Important: Please read the instruction leaflets when you are putting Christmas lights onto your house. « Our Christmas Package from Warner Bros.